Sometimes phones can harm our privacy because of some features. Especially other people can see messages which you have received on the lock screen. That generally occurs because of messenger applications. We will give you some tips here for hiding these messages on lock screen. So others won’t able to see anything on your phone when you receive a message from your friend or a family member. We have already mentioned how to hide these messages on Lock Screen for iOS devices on How to Chat Online. You can check our guideline if you are using iPhone or iPad. 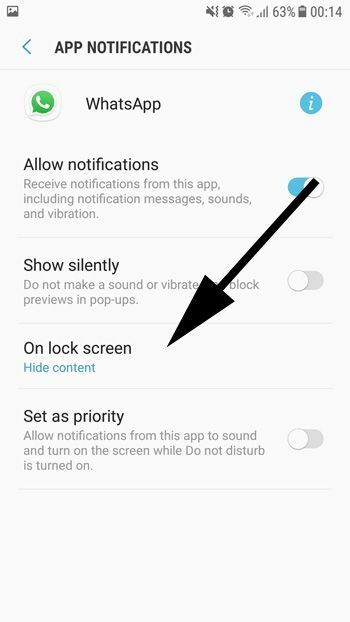 Let’s tell you how to stop these messages on Lock Screen for Android phones and tablets. 1-) Go to settings of your phone or Tablet. 2-) Tap on Apps. (Sometimes it can be “Applications” on some devices. You can see the picture below for the settings. When you have completed these steps, you won’t get detailed message information to your lock screen. If you select “Do not Show Notifications”, you won’t even get any notification alert from WhatsApp Messenger to your lock screen. Thank you very much. 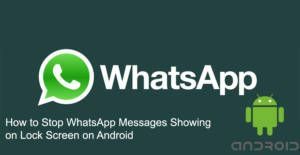 I was having with stop WhatsApp messages showing on lock screen in my Samsung device. Your tutorial helped me much. I have checked this website and it is very helpful. Thank you guys! You are life savers! Thank you for feedback and nice words, Kerrie. We are doing our best to provide free guides and tutorials for our users. I hope this helped you about messages and you don’t see WhatsApp messages on your lock screen now. I am also glad that you provide a feedback us that it works on Samsung devices. Please feel free to join our community and share your thoughts and knowledge with us.